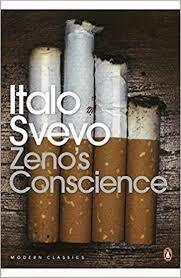 I love Zeno’s Conscience (or the Confessions of Zeno, as I first read it) by Italo Svevo. I’m incredibly happy to be discussing it with a revitalized Stanford Book Salon. Alexa Fitzgerald, who is now running the program, is committed to great conversations–and she’s a former professional stand-up comedian. We’re in good hands! If you’re not familiar with this classic, come read it with me! It’s truly a modernist masterpiece, but it’s also very approachable. You won’t need a handbook to understand it, unlike, say, Ulysses. Speaking of Ulysses–this is a true story–Svevo once hired an English tutor from the Berlitz office in Trieste. That tutor was James Joyce. 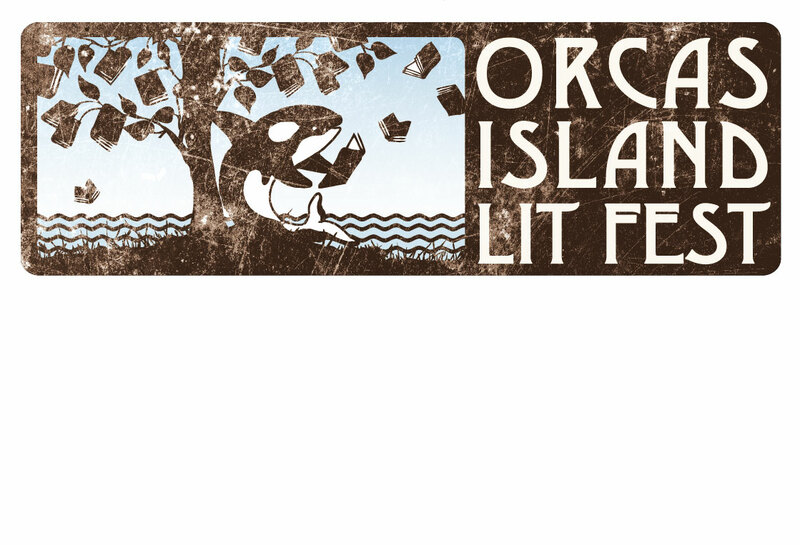 I’m extremely happy to announce that return of the Orcas Island Lit Fest in 2019. The date are April 5-7. For those of you who know me, you know that this is a festival I hold close to my heart. I helped found it with my friend Jule Treneer, and we have a fantastic board of writers and island residents who make this happen. Last year’s event was beyond all expectations–so the bar is set pretty high for us this year. I believe we will hit it! Please come. We hope to maintain the intimacy of the festival even as we build it out–but there will never be a more intimate year than this coming year! 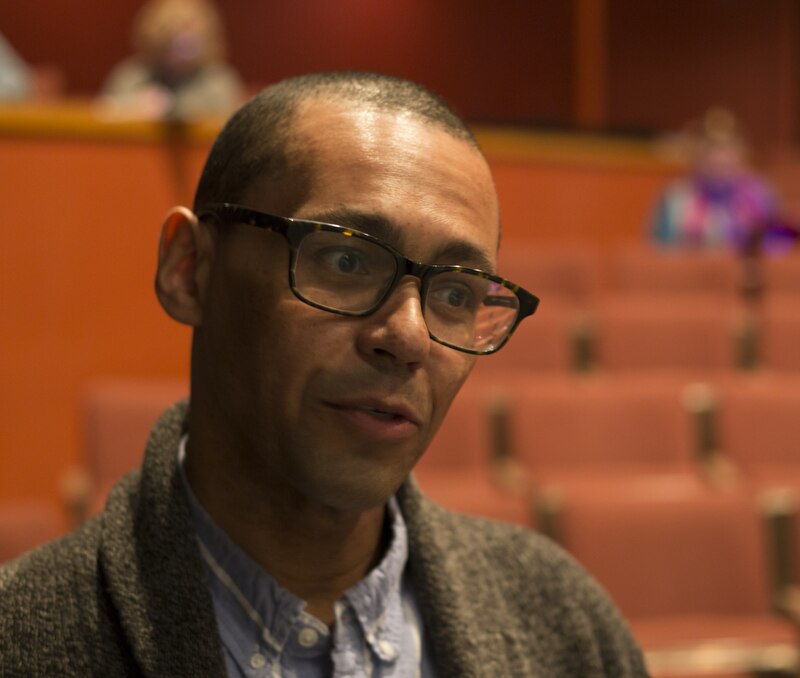 Here’s a pic from OILF 2018…the inimitable Victor LaValle. Help me! I’m starting a literary festival! And it’s going to be amazing. We already have an incredible line-up: Jami Attenberg, Adam Johnson, Gil King, Robin Sloan, Kim Fu, Victor Lavalle…to name a few! Orcas Island is basically the most beautiful place on the planet. The weekend of April 13-15, 2018. This is a ticketed event, so get yours early here. The title of this panel is too long to include here but New Orleans! New Orleans? What else, Writing! A stellar group representing tons of literary wisdom they generously have offered to share with us. Each author will zero in on a particular aspect of writing that is of special significance in his work, whether fiction or non-fiction. So glad to be giving my first reading in my home state (the Natural State). 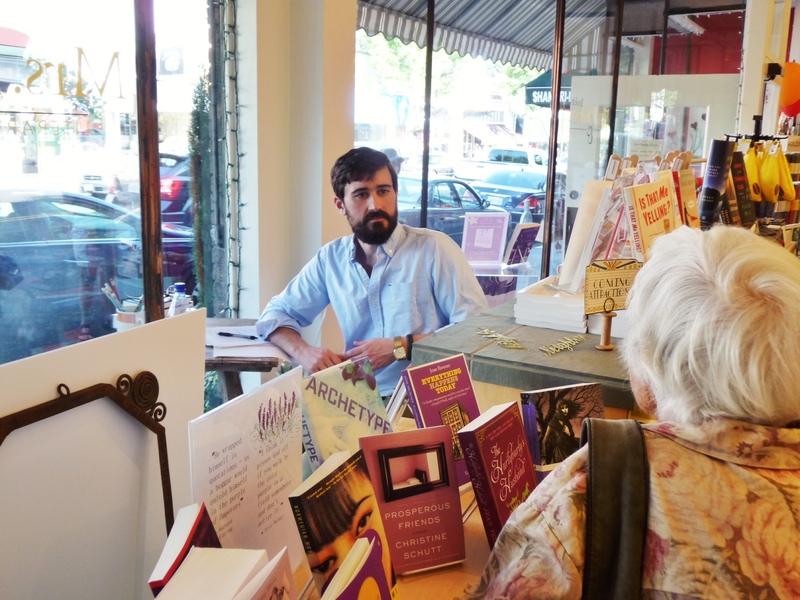 Nightbird Books is a champion bookstore, carrying on the proud tradition of independent bookselling in this beautiful town. I’ll be reading with a wonderful crew. The topic is “Fever.” I’ll hope not to have one! 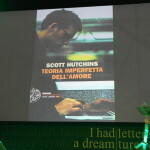 Science and art are often framed as opposites, if not enemies, but in this talk Bay Area author Scott Hutchins will discuss how Artificial Intelligence inspired, complicated, and deepened his breakout debut novel, A Working Theory of Love. Hutchins will read from his work, discuss chatbots, and delve into his comical experience as a judge for the world’s only annual Turing Test. I apologize for the last minute notice! In person, in New Orleans, at the Garden District Book Shop. Adam Johnson, Gilbert King, Eric Puchner, and me. Our ostensible topic is the use of research in fiction and nonfiction, but I welcome curve balls. Please come ask us a difficult question or three! Come be inspired in windswept Pebble Beach with me at the Catamaran Literary Conference. 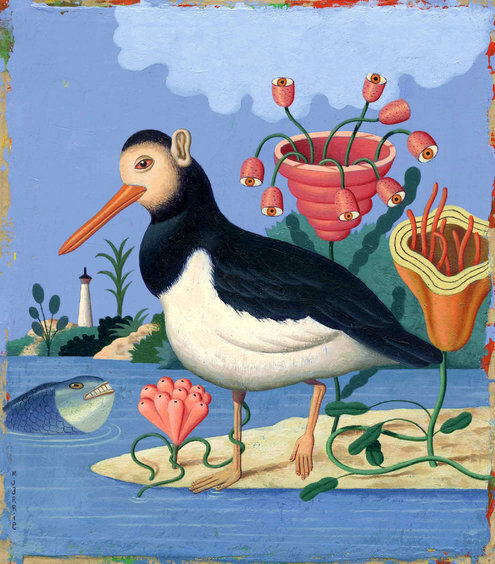 Catamaran is one of the most exciting additions to the Bay Area lit scene–a beautiful magazine full of terrific nonfiction, fiction, poetry, and art. I’ll be teaching the fiction workshop. The conference is held at the Robert Louis Stevenson school–very literary!–from August 12-16, 2015. Literary Death Match is back at the Elbo Room! Anne & Mark’s Art Party is a huge, exciting art festival bootstrapped in the Peninsula by none other than Anne & Mark. In addition to their visual and performance art, they’ve decided to have “spoken word” this year. “Spoken word” may inspire you with fear of open mics and chanting interior rhymes, but worry not. I will literally be speaking words (aka reading). There will be music–and the great Matthew Siegel, Peter Kline, and Brittany Perham. Plus, it’s at 10 pm, which makes me feel cool. 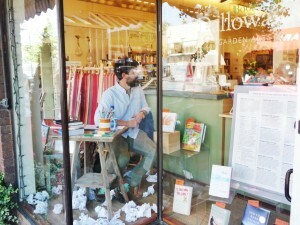 I will be sitting in the front window of Mrs. Dalloway’s books in Berkeley, writing. For real. For California Bookstore Day, Chris Baty (the genius behind NaNoWriMo) and I will be in conversation at Mrs. Dalloway’s books. When the discussion is over I will be escorted to the front window–hopefully spared the shock collar–to write for a little while. Since I will be showered, dressed somewhat nicely, not glowering into the distance, and hopefully not talking to myself, this will be more of a dramatic re-creation than a reflection of my true process. But I am actually going to be writing. Hope to see you there! 4:00 p.m. Chris Baty, author of No Plot? No Problem! and Ready, Set, Novel! 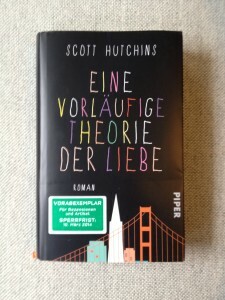 A Writer’s Workbook, and founder of NaNoWriMo (National Novel Writing Month), waxes eloquent on fiction writing, in conversation with Scott Hutchins, author of A Working Theory of Love. 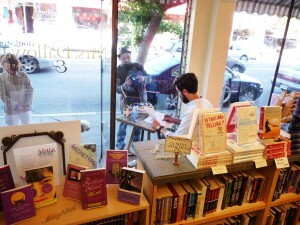 5:00 p.m. Scott Hutchins writes live in our window! Observe the tricks of the trade in action! Nothing is better than getting a few new books in the mail, and Viking UK delivers them with style. A man in a vest with an ascot delivered these to the house. Even their general disarray speaks to a certain flair. I’ll be reading this Thursday at Adobe Books in San Francisco, from a short story that is a kind of prequel (unintentionally so) of A Working Theory of Love. The new Adobe is great! And Catamaran is a first-rate addition to the Bay Area (and American) literary life. Hope to see you there! Adobe Books is proud to host Santa Cruz based literary magazine, Catamaran Literary Reader. Catamaran is releasing their 5th issue, featuring San Francisco writer Scott Hutchins, art by Lawrence Ferlinghetti and an essay about Ferlinghetti by Stephen Kessler, another essay about San Francisco by Margaret Elysia Garcia, poetry by Robert Bly and Ellen Bass and various others. 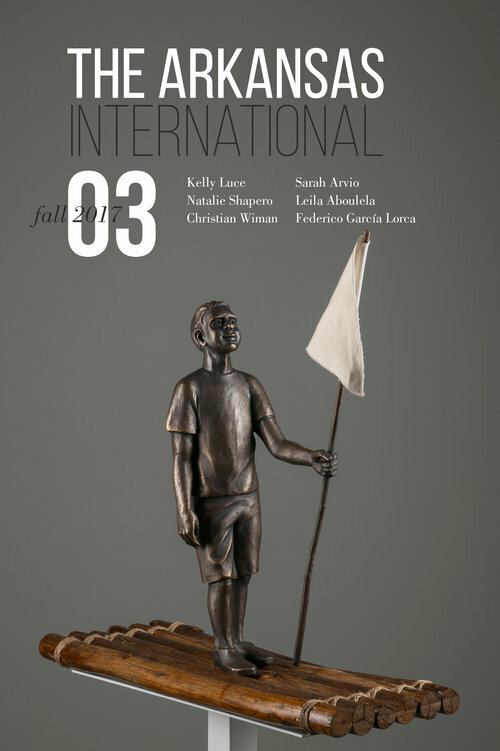 This reading will feature: Scott Hutchins, Christine Huffard, Stephen Kessler, Micah Perks, and Elizabeth Creely. Rick May, the force behind Noe Valley Word Week, has asked me to participate in a Saint Patrick’s Day celebration of Irish writing. I’m usually terrified of walking the streets of SF on that night, but I’m making an exception in honor of the neighborhood. Details below. 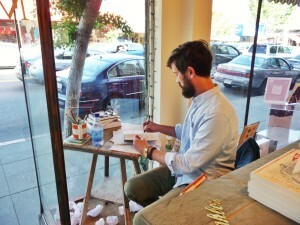 It’s being held in the VERY welcome new addition to 24th Street–Folio Books. With guidance from Odd Monday organizers Ramon Sender and Judith Levy-Sender come celebrate St. Paddy’s Day with Irish Literature read by local authors! We’ll raise a glass or pint as Noe neighbors read passages from their favorite Irish lit. A rollicking good time will be had by all! The readers’ books and the Irish books they read from available for sale and signing. Irish refreshments and homemade Irish soda bread will be available. Come celebrate St. Patrick’s Day with your neighbors. FREE. Mark your calendars and join us for a literary feast of the senses! Lafayette Library’s second annual Literary Feast is nearly upon us! Spend an intimate evening talking and listening to acclaimed authors from across the country. Taste and enjoy a sumptuous multi-course dinner prepared by local caterers, served within the library’s magical walls. Feel inspired by the opportunity to participate in a unique event that helps fuel our library’s creative programs each year. This hallmark event raises the funds needed to provide one-of-a-kind art, science and literary events to over 20,000 local residents of all ages. And this is what I’m teaching. In which I’ll speak of “My First Novel.” It’ll be like “My Friend Flicka,” but with more craft pointers. Plus, Amy Bloom. This great reading series has been going on for ten years now–so long that I apparently have already read there. Ah, the forgetfulness of youth! The readings are held in Bernal Heights, the lovely little mountain town that finds itself in the middle of San Francisco. There’s a $5 cover, but I believe snacks and even some drinkable plonk is thrown in for that amount. Plus, literature! And me being 1 of the 2. Here’s the pertinent info. Hope to see you there! $5 Suggested Donation enters you into a raffle for some sweet prizes! 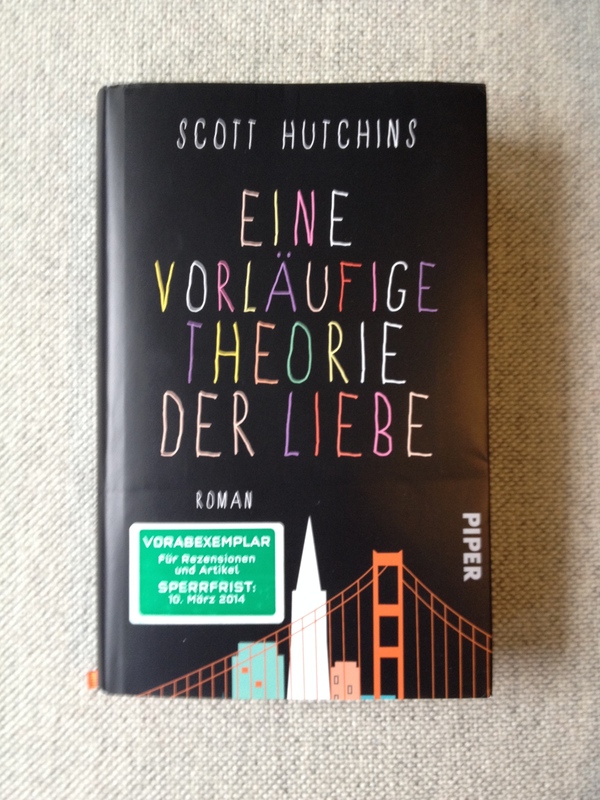 Feedbooks, a cool French book blog run by Bernard Strainchamps, has made word cloud art of A Working Theory of Love. Top words: ELLE, SAN FRANCISCO, and MOI. Pretty much sums up the novel! I’ll be discussing A Working Theory of Love with any and all members of the Stanford Alumni Association in September and October. 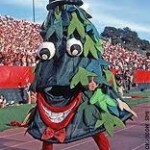 You don’t actually have to be a Stanford grad to join in, but you may end up getting mailings! The Book Salon is a venerable discussion, often of older works (Tolstoy, Austen, Fitzgerald), and I’m honored to be in such company! The Richmond District! It’s easy to get to–head toward Japan and stop before you get to the water. And don’t pretend you don’t travel to the avenues! I want to invite you all out to the latest installment of the Bazaar Writers Salon, a monthly literary series that takes place at Bazaar Cafe in San Francisco. Hope to see you there! 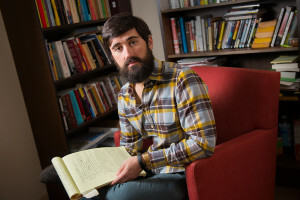 Sunday, September 1st, 6:00 p.m.
Keith Ekiss is a Jones Lecturer in Creative Writing at Stanford University and a former Wallace Stegner Fellow in Poetry. He’s author of Pima Road Notebook (New Issues Poetry & Prose, 2010) and translator of The Fire’s Journey (Tavern Books, 2013) by the Costa Rican poet Eunice Odio. 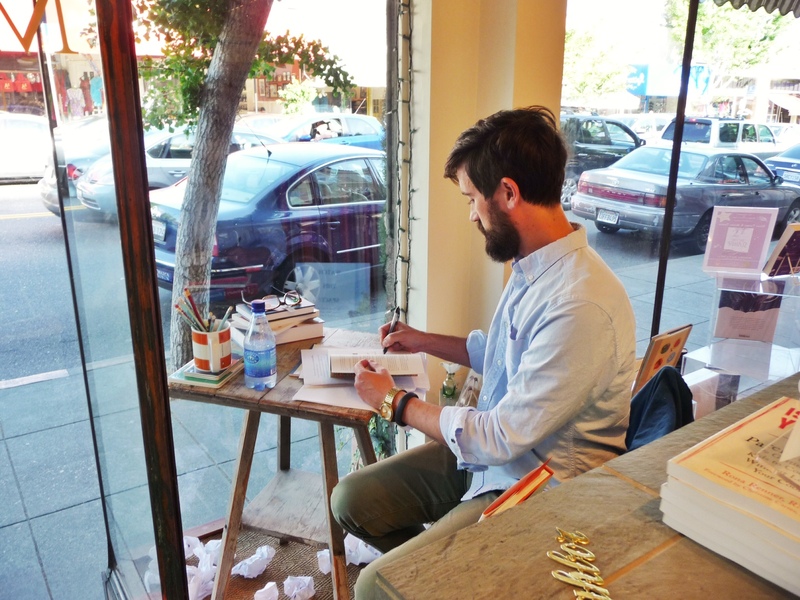 He’s currently working on a book of poems set in San Francisco. 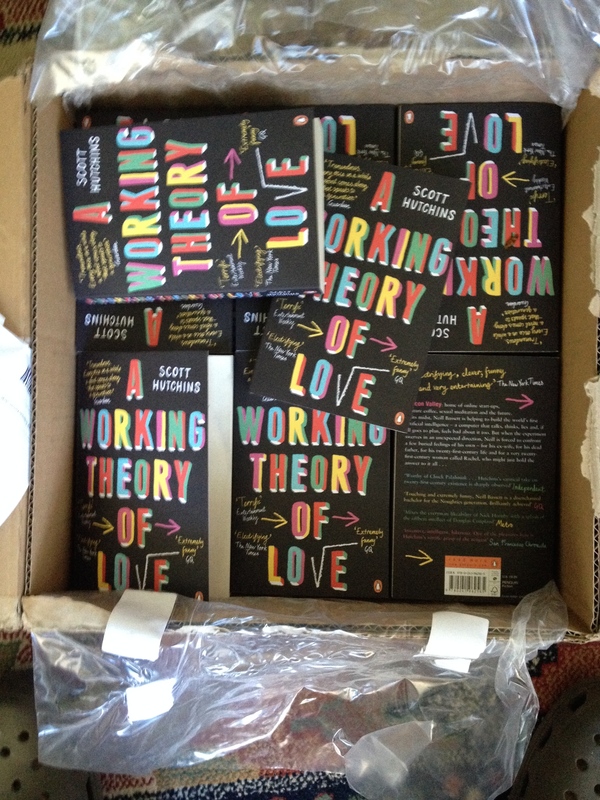 Scott Hutchins’s debut novel A Working Theory of Love has been heralded by the New York Times as “charming, warm-hearted, and thought-provoking,” and was a San Francisco Chronicle Best Book of 2012. His work has appeared in StoryQuarterly, Five Chapters, The Owls, The Rumpus, The New York Times, San Francisco Magazine and Esquire. He teaches at Stanford University. 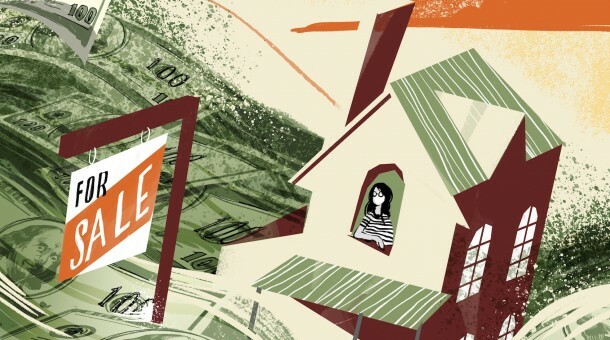 Tracey Knapp lives in San Francisco, where she works in graphic design. Mark Strand and Claudia Emerson selected her poems for Best New Poets 2008 and 2010, and her chapbook manuscript, The Only One You’ll Ever, was accepted by Finishing Line Press. 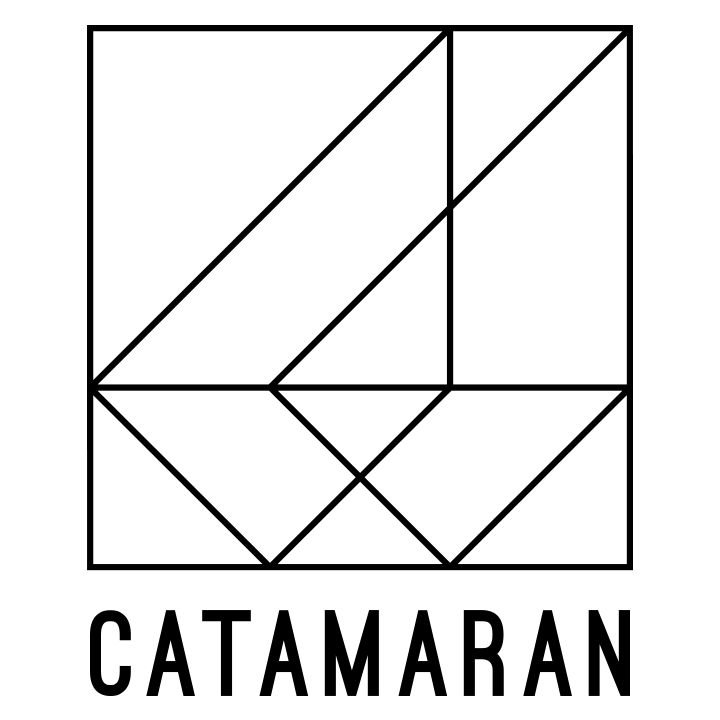 Other work has appeared or is forthcoming in Five Points, The National Poetry Review, Red Wheelbarrow Review, The New Ohio Review, The Minnesota Review, The Carolina Quarterly, Connotation Press and elsewhere. She is in the process of completing her first book of poems. I’m very excited to head back to my old Texas stomping grounds this August 15th to read at the great Brazos Bookstore. I saw many great readings there–including one in which Richard Ford was rude to audience members. Exciting to be in the tradition! So after long work, the website for A Working Theory of Love is live! Many thanks to Meadow for making it so cool. Please click around and enjoy the little features. It’s light on content right now, but if you look you can find a way to talk to Dr. Bassett. He’s very 1.0, but he’ll be evolving, as we all do! Many details to be worked out, but basically I’ll be reading on stage with Egan. The theme this year is “I Had a Dream.” Note the past tense. Here’s the Facebook page. As well as the main website (less useful). She’s reading from The Keep–a great opening. 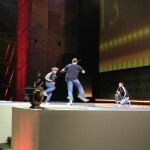 Each reading was sandwiched by these breakdancers. They did a Mario Bros routine before I read. We took our bow, for some reason looking very wooden. 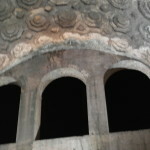 The Basilica of Maxentius is 1700 years old. 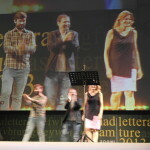 Photos from the Rome Literary Festival June 2013, where I met Jennifer Egan and notably did not meet Edward St. Aubyn. 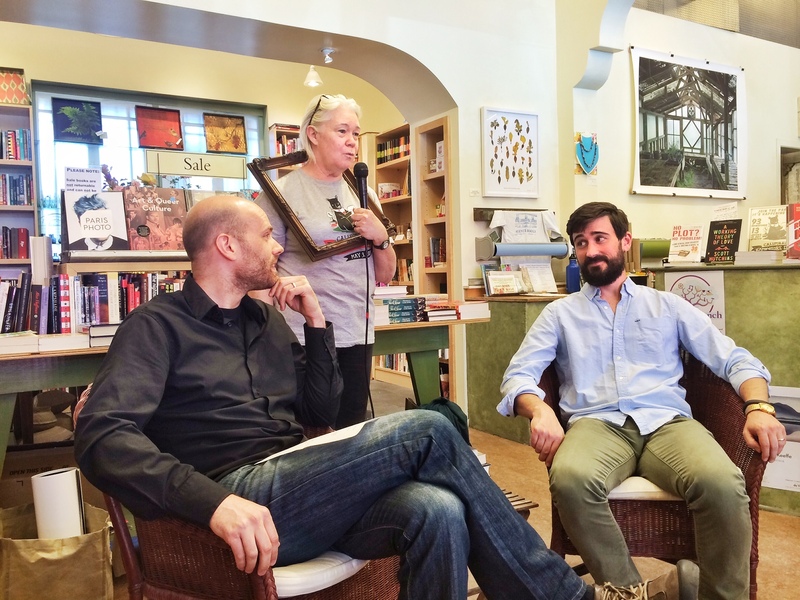 A short background on the Book Salon program – in 2002, this online book group for Stanford alumniand friends was started by Diane Middlebrook, professor of English, emeritus, and each year, the program has grown in popularity. Currently, we have over 5,000 registered participants. 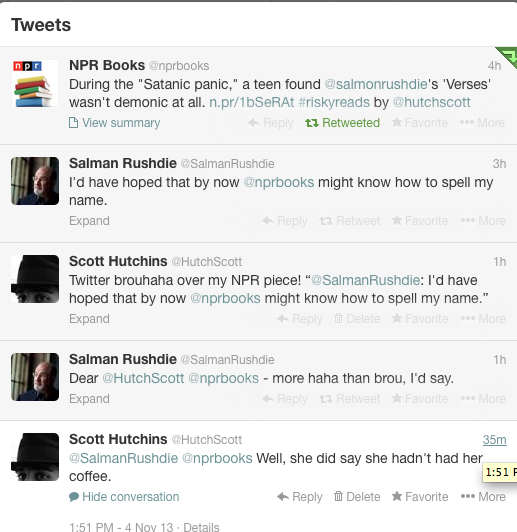 Some alumni simply “lurk” to read other’s comments and others actively post thoughts and questions about the book. Last year, the following faculty were hosts: Alice LaPlante (We showcased her book, Turn of Mind at Reunion Homecoming), Gabriella Safran, John Bender, Nancy Ruttenburg, Steven Carter, Helen Stacy, and Gavin Jones. 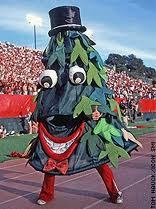 Reunion Homecoming on Sunday, October 20, 2013 at 1:00-2:30pm. The new Continuing Studies Book Club series will offer students an opportunity to discuss groundbreaking works, meet authors, and find fellow enthusiastic readers. This two-day workshop meets on consecutive Saturdays. 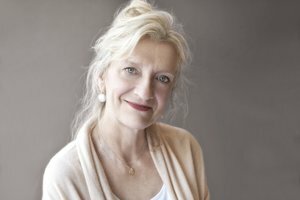 a lecturer from our on-campus Creative Writing Program will guide students through a presentation and discussion of the book during the first class meeting, and the author will visit the class in the second week. We will do some creative writing of our own as well, but students with no writing experience are welcome. The Fall 2013 Book Club selection is Scott Hutchins’ acclaimed debut novel, A Working Theory of Love, which The New York Times calls “clever, funny and very entertaining.” In it, Hutchins tells the story of Neill Bassett, who is haunted by a computer he is helping design to sound like his own late father. 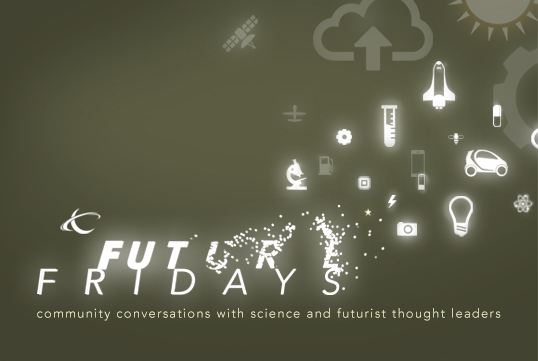 Bassett thinks he is in a race to develop consciousness in a computer—what he does not realize is that the real quest is much closer to his own heart. Throughout, Hutchins lovingly captures the zeitgeist of Silicon Valley, and calls on storied scientific and literary history as well—from the diaries of Samuel Pepys, to the fantasies of E.T.A. Hoffmann, to the Turing Test’s famous contest of man versus machine. The workshop will begin with a lecture and discussion of A Working Theory of Love, in which we examine Hutchins’ writerly craft, his literary forebears and philosophical underpinnings. We will then focus on students’ own writing, experimenting with writing about place and the challenge of blending fiction with technology. The centerpiece of our second meeting will be an extensive question-and-answer session with Hutchins, who is currently a Jones Lecturer in the Department of English at Stanford and a former Stegner Fellow. Students will leave the course having had an in-depth literary and historical look at a very modern novel, a firsthand understanding of an important new author’s writing process, and with the beginnings of several writing projects of their own. Sara Houghteling is the author of Pictures at an Exhibition, a New York Times Editors’ Choice, San Francisco Chronicle Best of 2009 Book, and a finalist for the National Jewish Book Award. She has received a Fulbright scholarship, a Camargo Fellowship, the Ribalow Prize, and the Wallant Award. Her writing has also appeared in The New York Times and the San Francisco Chronicle. Houghteling received an MFA from the University of Michigan. Experimental Jazz Version of Thirty Thousand Dollars COMING SOON! A comparison piece—Scott in English and Scott in French. Same studio, same questions. I’ll be keynote speaking at Noe Valley Word Week (aka giving a reading). There will still be wine! Looks like a fun event. Come mingle, attend a reading, ask a question and buy a book. Thanks to Phoenix Books for having the table!